This is the soup everyone has fallen in love with. 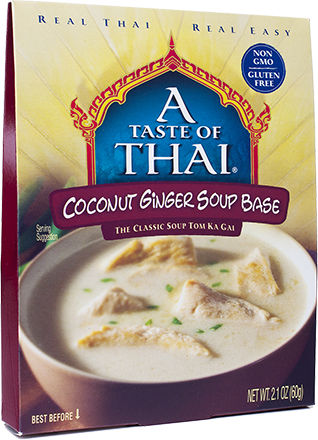 Add coconut milk and chicken to make Thailand's famous Tom Ka Gai. Thais use Fish Sauce the way other cultures use soy sauce. Its savory and salty flavors are perfect for stir-frys, curries, marinades and dressings. This sauce packs heat and a ton of flavor. Use it as a hot sauce or add a dash to spice up your favorite recipes. The chilies are mellow and sweet in this sauce, great as a dipping sauce by itself, or as a flavorful addition to sauces and marinades.